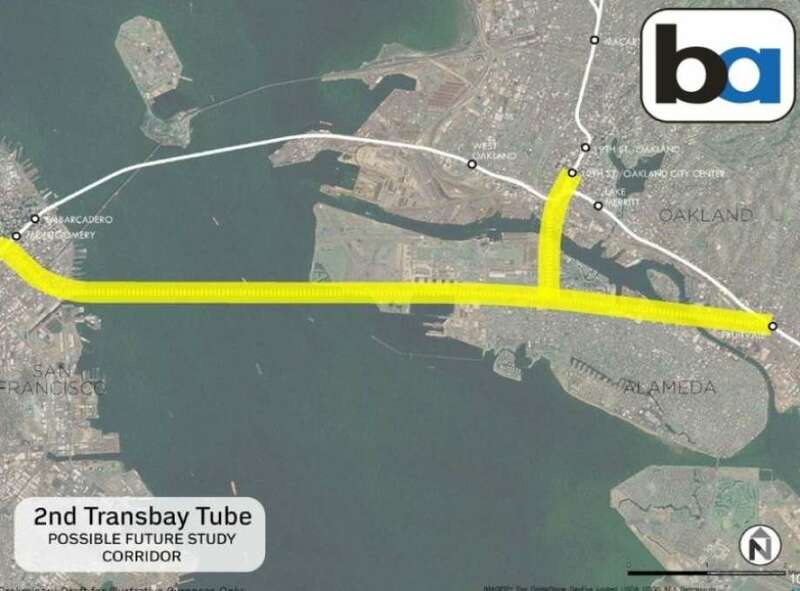 California’s Bay Area Rapid Transit (BART) is aiming to start construction on a second tube under the San Francisco Bay within the next decade, as transit planners anticipate population and job growth that could overwhelm the Bay Area’s stressed rail system. In mid-November, BART directors received an update on early steps toward a second BART crossing that could include both standard-gauge rail tracks and the wider BART tracks, which could allow riders to have a one-seat ride from Sacramento to San Francisco. The next stage is to conduct an economic impact assessment. BART will also issue a request for proposals next month for strategic advisory and program management services. The winning bidder should be announced in mid-2019; that winner will conduct a feasibility study and recommend two to four possible alignments for the second crossing. The goal of the second crossing isn’t just to increase the number of people rolling across the bay during peak hours. It also has the potential to extend BART service around the clock, said board Director, Thomas Blalock. The board will revisit plans for a second transbay tube in June, when it votes on a firm to study the proposal.